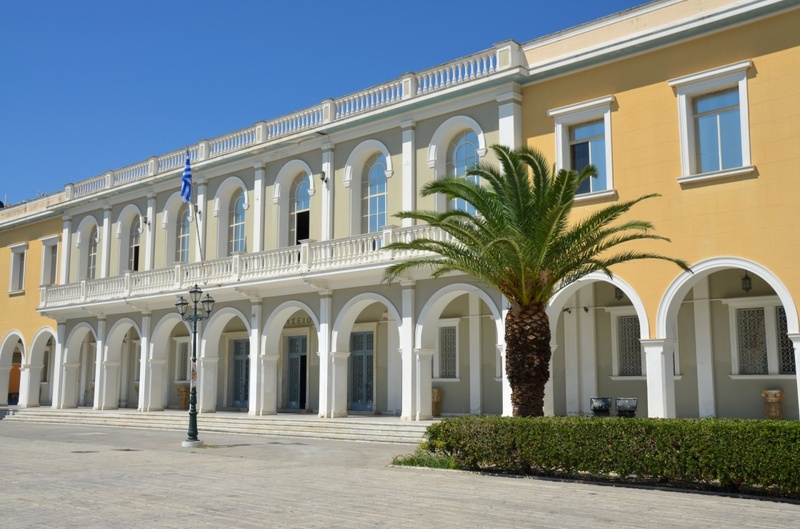 The Museum of Zakynthos is located on a beautiful, neoclassical building in the square Dionysios Solomos. The exhibits, which are approximately 600, concern the last stage of post-Vyzantine paintings and the start of the modern Greek art. In room A there are two wood carvings and gilded temples of the 17th century, with the latter being of particular importance as they include the image of Christ Pantocrator signed by Michael Damaskinos. In addition, three crosses of chancel screen are exposed, also there are entraces of temples of 16th centure and relief architectural members. In room B there are exposed two sepulchral columns of the years after Christ and a made of marble plate of 30 B.C. century, while the painting of the catholic Monastery of Saint Andrea of 16th century, exists also, as well as a lot of murals. In the halls D, E, G and H there are images, works of famous artists such as N. Kallergis, N. Kantounis and others. We can distinguish the picture of Saint Ioannis of Precursor which was designed by Michail Damaskinos and the picture of Virgin Mary,which is a work of Emmanouil Tzane.In the entry of museum there is the representation of litany with the relic of Saint Charalampoy, work of Ioannis Korai of 1756.